A 30 floor twin tower building is set to be constructed in Meru county by Jesus House of Praise International church founded by Bishop Kiogora Magambo. The project has since received a nod from the Water Resource Users Association (WRUA) after concerns were earlier raised on its proximity to an adjacent river where its proponents sought to clear the air over the riparian land. Environmental expert Kevin Musiega of Kisumu-based Lakers Consultancy Limited vouched for the project, saying it would change Meru town’s image, provide hundreds of quality construction jobs as well as trigger new investments by locals, the diaspora from the region and other investors. According to regulatory filings, the twin-tower project is intended to generate office spaces, serviced apartments, a hotel, several restaurants, church and conference halls, a swimming pool, a gym as well a retail complex. The church says its two-basement floor will accommodate 200 motor vehicles and two stores while its ground floor will open into a reception area leading to 14 shops set in an arcade style setting, an independent hotel reception and an apartment reception. Mezzanine floor 1 and 2 will host a supermarket and 17 exclusive branded product shops respectively while the Mezzanine fifth floor will have four food courts and two kitchens. The sixth floor will have a large church hall and a restaurant opening out to four lobbies planned while the seventh floor will also host another hall next to four ballrooms and three lobbies fit for church weddings among other ceremonies. 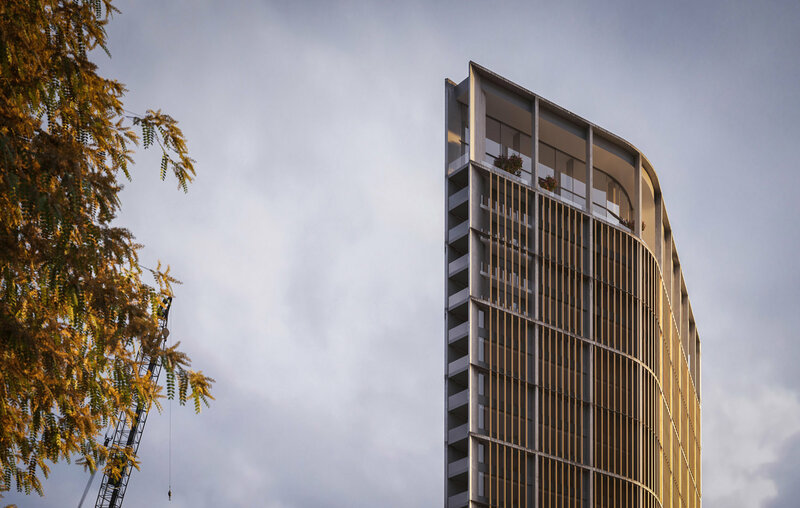 The second tower’s first to the 28th floor will host serviced rooms, totalling 784 with the 29th floor fully reserved for development of two restaurants while then 30th floor will exclusively accommodate five conference halls for commercial hire. The Ksh4.5 billion mixed use development on a one-acre property located 1.6 kilometres from Meru town along the Meru-Embu-Nairobi highway expands the church’s investments in the region from public bus transport to educational institutions it also hosts a radio and television station headquartered at Gitimbine in Meru that were launched last June under the brand name Destiny TV and Destiny FM.